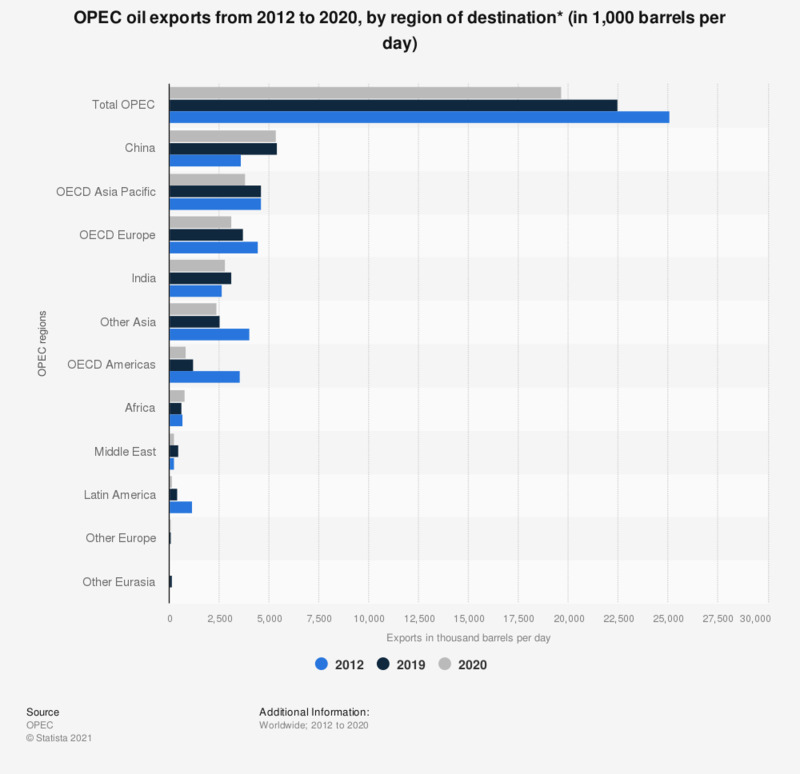 This statistic depicts the global oil exports of the OPEC member states from 2012 to 2017, distributed by region of destination and measured in thousand barrels daily. The OPEC member states exported a combined total of nearly 24.86 million barrels of oil per day in 2017. Of that, some 15.6 million barrels went to the Asian-Pacific region. * Includes exports of lease condensates, changes in the quantity of oil in transit, movements not otherwise shown, unspecified use, etc. Figures for 2012-2016 were restated in the 2018 edition due to Indonesia reinstating its OPEC membership in January 2016.